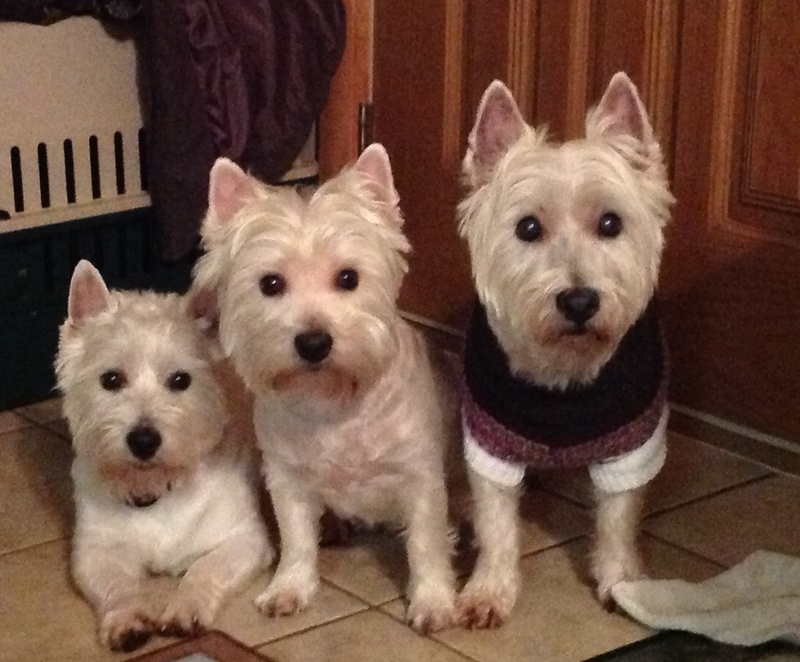 Three of our "original"generations of westies!!!!!! 7 week old pups.....lots of energy!!!!!! 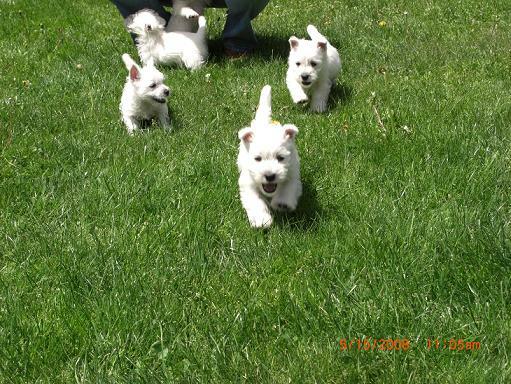 I got my first westie for my 5th birthday and my parents started breeding westies as I grew up. 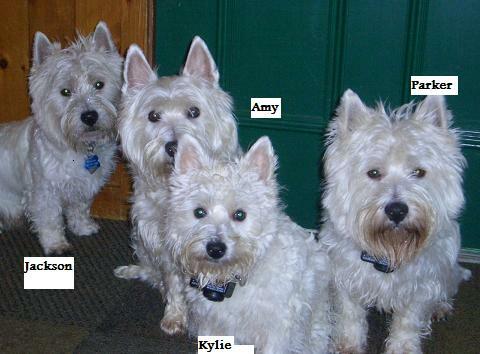 When my daughter, Renee, was 10 yrs old - she wanted a companion and chose that companion to be a westie! We found Amy who was a loving, loyal, sweet girl who loved to play with other dogs, especially chasing the labs we train - she lived a long, happy & healthy 16 years! Since Amy's temperament was so good, we decided to breed her and share all her wonderful traits with other westie lovers - we couldn't be happier since all her pups have inherited all her great qualities! She was a healthy girl and had no allergies which is important when looking for a pup. Terry is a daughter of Amy and is owned by very good friends of ours. She is very loving, loyal, in good health, no allergies and is very spoiled being our friends' only dog! Terry is "retired" from having puppies. 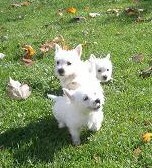 Lily is our third generation of westies, she is the daughter of Terry. Lily is also "retired" from having puppies and her home is with one of our friends, Kristin.They both have had wonderful puppies and we are excited about continuing this great line of westies. Thank you for visiting our site - each of the terriers that we are presently breeding have their own page with more information about them. 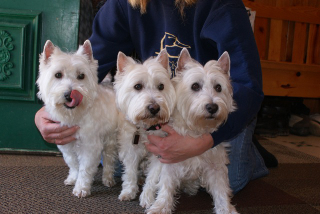 On a side note we also raise and train Labrador Retrievers and the Westies are a great "fit" with them!